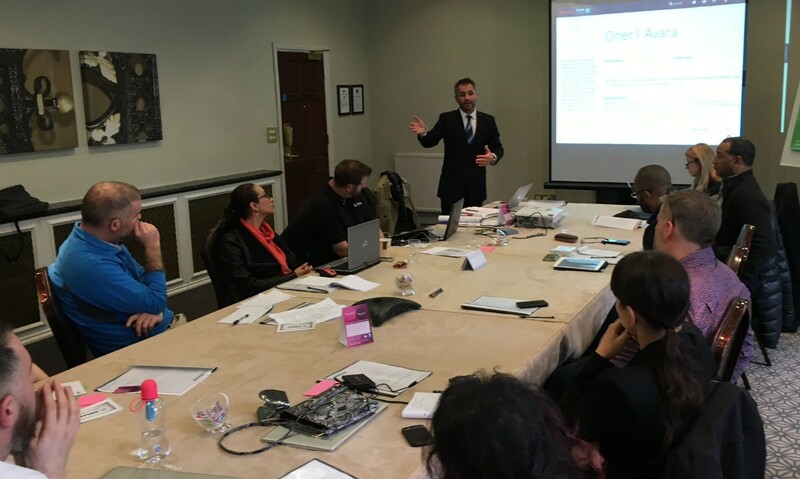 Last weekend I had the pleasure of presenting to the inaugural IMMAF Medical Board Conference in Greenwich, London. The IMMAF Medical Board is made up of leading doctors from all around the world. Each and every one of them is absolutely committed to doing everything possible to make MMA athletes as safe as possible. That is why I was so pleased to be able to give a presentation on the MyNextMatch Digital Medical Card, which will greatly assist the board in their aims. Development of the Digital Medical Card has been a two year process and I am proud to say the result is something that is truly the first of its kind. Of course, developing something that can be used internationally has been a huge challenge. First, you have to have an intimate knowledge of combat sports. Then you need to have a good understanding of the technical side of things medically. And finally, you need to appreciate that security of medical information is paramount and account for that as you build the system. For these reasons we have worked closely with a range of medical professionals to develop the tool and it was great to have Dr. Mike Loosemore - who has provided MyNextMatch with invaluable input on this project - present at the conference as I told the rest of the board about what we have achieved. I think it is fair to say that the board were very impressed with the Digital Medical Card and could see the way using the tool will create unity amongst all doctors working with combat sports athletes internationally. There were, of course, some important technical discussions about the medical information collected by the Digital Medical Card and it was great to get feedback from the board about how they see the system working. Having a Digital Medical Card that is truly dynamic and interactive represents a huge step forward and brings the whole medical process into the modern era. It will not only enable doctors to be better informed about individual patients they have in front of them at any stage, it will also provide a comprehensive database of injuries with which to make better decisions about injury prevention in the future. I’m excited that MyNextMatch is playing such an important role in helping to ensure athlete safety in MMA and combat sports more generally. One of the things that makes MyNextMatch unique is that it allows people to manage all aspects of their sporting life and that includes their medical information. We continue to work hard on all parts of the system and I look forward to providing you with an update about exciting new features in the near future.